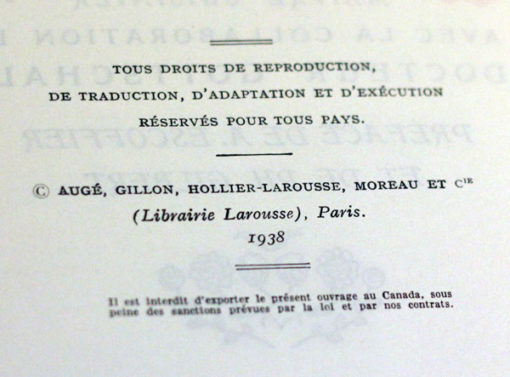 Publisher: Librairie Larousse, Paris, 1938. First edition. Condition: Hardcover, black embossed cloth. Huge book, with lovely illustrations. In good condition: overall good, some annotations and yellowing, but overall good. Firmly bound. Spine cocked because of sheer weight. 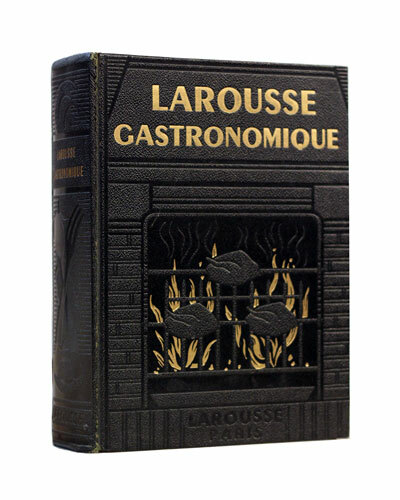 An encyclopedia of gastronomy. 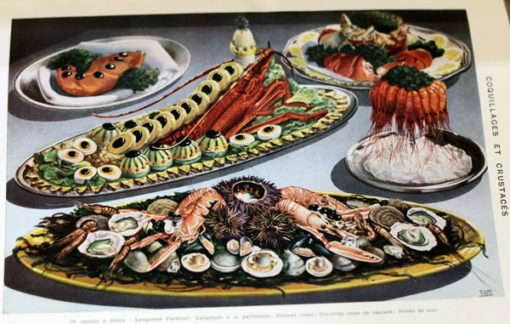 The majority of the book is about French cuisine, and contains recipes for French dishes and cooking techniques. 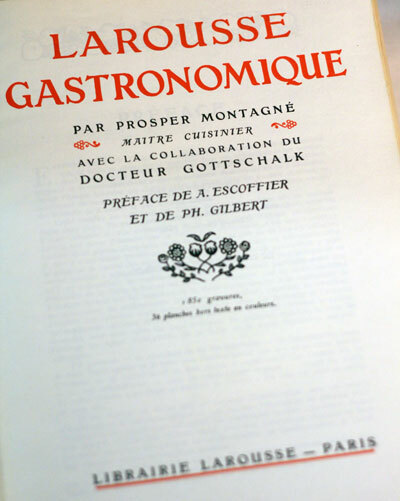 Prosper Montagné (14 November 1865 – 22 April 1948) was a French chef and author of many books and articles on food, cooking, and gastronomy, notably the Larousse Gastronomique. Montagné was born in Carcassonne, Aude. Upon leaving the Lycée de Carcassonne, he wished to become an architect, but this proved impossible. His father acquired l’Hotel des Quatre-Saisons in Toulouse, with his son as a chef – the beginning of an illustrious career. He apprenticed at the Grand Hôtel of Paris and the Hotel d’Angleterre of Cauterets, then worked at various restaurants in Paris and San Remo, and the Hôtel de Paris of Monte Carlo. In 1900, he returned to Paris and was chef of the Pavillon d’Armenonville, the Pavillon Ledoyen, and finally the Grand Hotel where he stayed for 10 years. 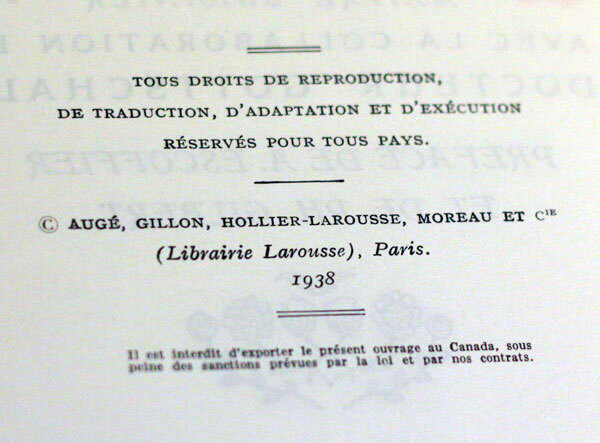 Later, he had his own restaurant, the Montagné, and was a consultant to La Reine Pédauque. 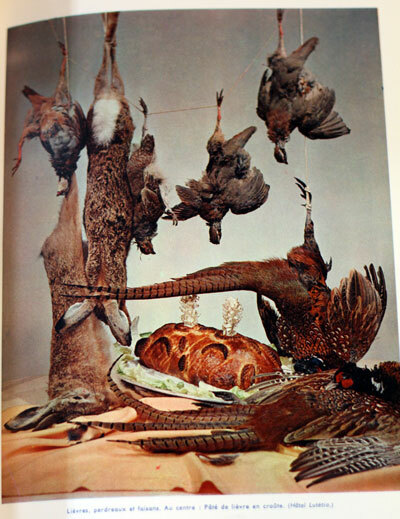 He also contributed to many newspapers and magazines, and was editor in chief of the Revue culinaire. After Carême, the two men who probably had the greatest impact on French gastronomy and that of the world at large were Prosper Montagné and Georges-Auguste Escoffier. 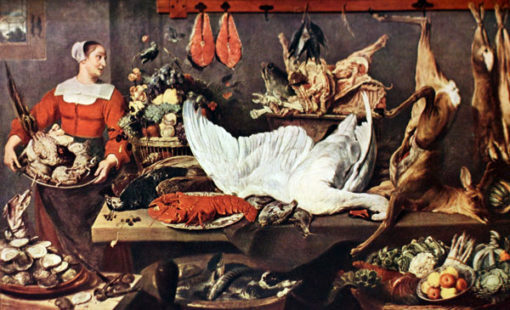 Montagné was one of the great French chefs of all time, and he achieved a secure place in gastronomic history by creating Larousse Gastronomique (1938), the basic encyclopaedia of French gastronomy. As a young man…, he came to the conclusion that all pièces montées, as well as superfluous garnitures and decorations, should be discarded. Montagné was a Knight of the Légion d’Honneur.